Sin City could face competition as casinos in seven other states have opened sportsbooks, but tourism officials say they aren't worried. LAS VEGAS — Thousands of football fans from around the country converge at Las Vegas casinos every February to place their bets on the Super Bowl’s winner, MVP, first touchdown scorer and hundreds of other outcomes. They cheer, boo and hold their breath as they watch every moment of the game at sportsbooks, VIP parties and other gatherings. 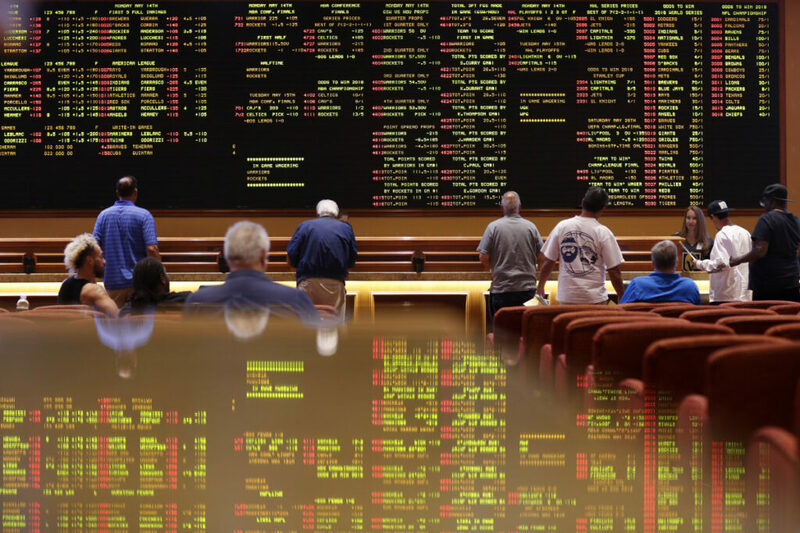 Nevada’s effective monopoly on sports betting ended last spring, when the Supreme Court struck down a federal ban on that form of gambling. Casinos in seven other states – Rhode Island, Delaware, Mississippi, New Jersey, Pennsylvania, West Virginia and New Mexico – are accepting wagers on the game between the New England Patriots and Los Angeles Rams. And by 2020, the list could be longer with lawmakers in two dozen states thinking about allowing sports betting.